"Super Nikka" is one of Nikka's main blended whisky brands and has been around since 1962, which was just when Japan's great post-war whisky boom was getting its fuse lit. This is a pure malt (sometimes called "vatted malt") as opposed to the normal blended "Super Nikkas" . 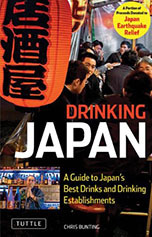 It is subtitled "Genshu", which is a term in common and tightly defined use in the sake world. "Genshu" is sake which has not been diluted after the fermentation process. 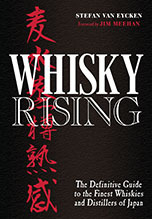 It has a similar meaning to "cask strength" in whisky parlance. I don't know whether the usage of "genshu" here is as tightly defined as would be if it was used on sake, but 55.5 per cent alcohol is fairly strong. Finish: Long, ‘modern’, ‘normal’. Sweet vanilla and soft tannins. Comments: An interesting whisky that goes through unusual notes but ends up being rather, err, ‘regular’. That is to say ‘modern’. Oh well, I’m sure you see what I mean.